Dental Implants Melrose | Replacing missing teeth is essential to maintain optimal oral health. Missing teeth are known to create issues such as tooth decay, periodontal disease, and unnatural teeth shifting. As a result, we encourage patients to consider dental implants. Learn more about this ideal solution for replacing missing teeth. And, contact us today for an exam and consultation. Dental implants are a permanent solution for replacing missing teeth. In brief, implants are titanium artificial tooth roots that are inserted into the jaw bone. They require an abutment and dental crown to complete the dental restoration. Patients prefer dental implants because they also preserve the jaw bone. In other words, missing teeth cause the jaw bone to deteriorate over time. However, dental implants prevent bone deterioration by anchoring into the jaw just like a natural tooth. In addition, dental implants can last for several years with proper care. On average, implants last up to 15 years and sometimes longer. Patients are advised to maintain proper dental care to avoid issues like periodontal disease which can affect the implant. Simply, brush your teeth at least twice a day and floss daily. Maintain your routine exams and cleanings for additional preventive dental care. Dental Implants Melrose | Teeth replacement is very important for all patients. Ask us about dental implants and learn if they are right for you. Dental bridges and dentures are other teeth replacement options we can explore during your consultation. Likewise, we offer an array of dental treatments to further customize your plan for a healthier smile. Contact us today. Our team proudly accepts new patients and most insurances. Call (781) 665-1552 or click here to book an appointment. Additionally, our dental office is conveniently located at 12 Porter Street Melrose, MA 02176. We look forward to meeting you. Invisalign | Did you know that a straighter smile improves your oral health? It’s true. Straighter teeth allow for normal brushing and flossing to remove daily plaque buildup. That is why we recommend patients to choose Invisalign for mild to moderate misaligned teeth. Learn more about the benefits of choosing Invisalign below. Then, contact us to schedule a consultation. Invisalign is a series of clear custom-made aligners that effectively straighten teeth. This revolutionary treatment allows patients to improve their smile less noticeably. In addition, patients do not need to limit their diet. They can enjoy any type of food while on treatment. Simply remove the aligners before each meal and brush your teeth before re-inserting the aligners. Doing so removes bacterial buildup that can affect your teeth. Results are normally obtained in 3 to 18 months. In fact, these clear aligners are known to work just as effectively as traditional braces. The major difference is no metal required! These sturdy aligners are made of SmartTrack® material for optimal results, comfort, and durability. View “before and after” images here. Overall, treatment plans will vary between patients. However, your exam and consultation will provide more information. It is likely that you will need a retainer after treatment to maintain your new smile. Retainers protect your teeth from shifting out of place. Fortunately, you do not need the traditional metal retainer. Invisalign offers their own! It’s clear and durable, just like their aligners. Your smile is very important. Allow us to uncover your ideal solutions to improve your oral health. New and existing patients may call (781) 665-1552 or click here to book an appointment online. Moreover, our dental office is conveniently located at 12 Porter Street Melrose, MA 02176. Most insurances accepted. Contact us today. Proper research is needed to narrow your best options for dental care. Patients should feel comfortable with a dentist in order to look forward to future appointments. Even if you do not have serious dental issues, regular exams and cleanings should be a delightful experience. In fact, many patients avoid routine appointments because of negative encounters with dental offices in the past. Maintaining great oral health is important. Therefore, we decided to narrow 3 easy tips to finding the right Melrose dentist. Is it easier to see a dentist near your home or work? Consider convenience. You may be more inclined to maintain appointments if getting to the dental office is easy. Thus, patients should check for dentists within a 5-10 mile radius of their home or work. Your unique schedule will ultimately assist with narrowing your most convenient option. Hence, it is recommended to take a moment and weigh your options. Patients may want to consider a dental office that offers many dental treatments. For example, if you would rather see a family dentist so that your children can also be treated, you may need to narrow your list. Every patient has different dental needs. Therefore, we also recommend a dentist that will tailor your treatments. Obtaining a healthy smile involves unique care. Be sure to include dental treatments as part of your search for a Melrose dentist. Reviews from actual patients are insightful, especially recent ones. People tend to be very honest when submitting their opinions online. Use this to your advantage to determine if an office is the right one for you. In addition, do not be discouraged if you see mediocre or bad reviews. We suggest to thoroughly read the review. Some feedback could be related to uncontrollable factors. For example, a poor rating could be submitted because the parking lot was full and the person had to park on the street instead. However due to current building codes, the parking lot cannot be enlarged. Nonetheless, reviews are very helpful and should be considered in your search. Our Melrose dentist offers customized family dental treatments. The team would be delighted to meet you. Schedule a consultation with us today! New patients may call (781) 665-1552 or click here to book online. You may also visit our dental office at 12 Porter Street Melrose, MA 02176. Teeth Replacement Melrose | Teeth replacement is essential for maintaining your oral health. As patients lose teeth, issues like tooth decay, periodontal disease, and more tooth loss are likely to occur. Fortunately, patients have options to replace their missing teeth. Dental implants, bridges, and dentures are available and patients should learn which is best for them. Read more below and schedule a consultation today. Dental implants are highly recommended for teeth replacement and jawbone preservation. Missing teeth cause the jawbone to deteriorate overtime. As a result, patients should consider dental implants for teeth replacement. They are titanium artificial tooth roots that are inserted into the jawbone. In addition, dental implants use an abutment and custom dental crown for the final restoration. This treatment can last up to 25 years. Dental bridges replace one or more adjacent teeth. They consist of a dental crown at each end with a false tooth in the middle. Patients prefer dental bridges to correct their smiles due to the permanent attachment. They are fixed onto natural teeth or dental implants. Also, dental bridges can last up to 10 years with proper care. Dentures offer teeth replacement for patients that have lost a few or all of their teeth. Thanks to modern technology, dentures have become more durable, natural-appearing, and comfortable. At Melrose Dental Group, we use the latest technology and methods to assure your set is of high quality and fit great. In addition, dentures are simple to maintain. Brush your dentures and mouth at least twice a day. Dentures also need to be stored in clean water when not in use. With proper care, your dentures can last up to 8 years. Learn Which Teeth Replacement Option is Best for You. Teeth Replacement Melrose | Schedule an exam and consultation today. Teeth replacement is necessary and we want to assist in narrowing your best option. Speak to our prosthodontist at (781) 665-1552 or click here. You may also visit our dental office at 12 Porter Street Melrose, MA 02176. Teeth Whitening Melrose MA | Teeth whitening is a popular cosmetic choice among many Americans. But did you know that professional teeth whitening at a dental office is best? Sure, you could choose the latest trend in teeth whitening. However, there are so many benefits of choosing professional teeth whitening. Read below to learn about the top 3! Teeth whitening is a chemical process. Therefore, it is ideal to choose the most safe method. Professional teeth whitening is a procedure performed by a trained dental professional. Patients are required to undergo an exam to assure that the teeth and gums are healthy. Also, this exam confirms that the procedure will be effective. There are instances when some teeth will not whiten due to an underlying issue. A patient would then need to consider combining professional teeth whitening with other cosmetic dental procedures such as veneers or crowns. Professional teeth whitening is great for those who want instant results. You can choose from in-office or at-home treatment. In-office treatment is completed in as little as 2 hours! While, those that prefer at-home treatment can get the same results in about 7 days. Also, you will get up to 8 shades of lighter teeth in this short amount of time. Your teeth will stay beautifully white for up to 3 years! There is no need to continue whitening your teeth monthly as other methods require. And for the avid coffee and red wine fans, you can do touch-ups at home periodically. Nonetheless, professional teeth whitening last the longest than any other method currently on the market. Contact our dental office to learn more about professional teeth whitening Melrose MA. We will examine your teeth and gums while explaining the treatment in greater detail. Call (781) 665-1552 or click here. You may also visit our dental office at 12 Porter Street Melrose, MA 02176. Melrose Dentist | A dental implant is one of few options for teeth replacement. So, what exactly is a dental implant? Why should you consider it for missing teeth? These questions are common for patients. So, we’ve created this blog to further explain dental implants and why you should consider them. Missing teeth should be replaced as soon as possible. The longer a patient waits, the more likely they can experience more dental issues like teeth shifting, tooth decay, periodontal disease, and more tooth loss. Unnatural teeth shifting makes brushing and flossing more difficult to do. As a result, the risk of decay and periodontal disease increases and more tooth loss is likely. Also, the jawbone can begin to deteriorate without the tooth root. Patients may notice sunken cheeks and a weaker jawline. A dental implant is an artificial titanium tooth root that is inserted into the jawbone. It uses an abutment and dental crown to complete the tooth restoration. Dental implants require enough jawbone density to fit properly. Patients without enough jawbone may need bone grafting. Also, dental implants can be used in conjunction with dental bridges and dentures. Dental implants provide two functions: teeth replacement and jawbone preservation. Patients will replace missing teeth while protecting their jawbone. Tooth roots anchor and support your jawbone naturally. Without them, the jawbone weakens and the facial structure can change. Overall, patients are choosing dental implants over other teeth replacement options to avoid future complications. Is a dental implant for you? Melrose Dentist | Book a consultation today. Our prosthodontist at Melrose Dental Group can perform a dental exam and determine the best method for teeth replacement. Contact us at (781) 665-1552 or click here. You may also visit our dental office at 12 Porter Street Melrose, MA 02176. Dentures Melrose MA | Congratulations on your new set of dentures! Replacing your teeth is not just cosmetic but it also improves your oral health. Bravo! Your dentures are custom made to fit your mouth. You’ll eat and speak naturally thanks to the amazing work by your dentist. Dentures typically last about 5 to 8 years with proper care and cleaning. 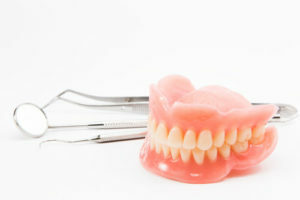 So, check out these 3 tips for cleaner dentures below. Just like regular teeth, brush your dentures twice a day and floss daily. Have time to brush after meals? If so, do so! Bacteria and food particles are not good for dentures. It causes bad breath and can damage your dentures over time. Yikes! And, be sure to care for your mouth. Brush your inner cheeks, palate, gums, tongue, and existing teeth twice a day. If flossing is applicable, then floss daily as well. A clean mouth eliminates bacteria and food particles while protecting any existing teeth from decay and gum disease. Store your dentures in clean, fresh water every night. Dentures need to be kept moist to avoid warping. Remember, to change the water daily to avoid bacteria build up. Enjoy napping? I do! Just remember to apply this tip for nap times too! Even patients with complete dentures still need to visit the dentist regularly. We can check that your dentures are still fitting properly. If not, we’ll adjust them or create new ones if needed. Your gums, cheeks, palate, and tongue are examined for sores and other abnormalities. If you use partial dentures,we’ll also examine and clean your existing teeth. Contact us today with any questions or concerns about dentures. Our experienced team is here to assist you with improving your oral health. Call (781) 665-1552 or click here. You may also visit our dental office at 12 Porter Street Melrose, MA 02176. July 17th, 2018 | Comments Off on What Are Dental Crowns? Dental Crowns Melrose MA | Not sure about dental crowns? Then, this blog is for you. Dental crowns are an amazing oral restorative option that protects and restores your smile. There are different reasons why a patient may need a dental crown. Learn more below about dental crowns and the reasons you may need them. A dental crown is a tooth-like “cap” that covers the tooth. It functions and looks like a normal tooth. Dental crowns can be made of different materials like metallic, resin, ceramic, and porcelain-fused-to-metal. Dental crowns protect weakened teeth. Teeth can become severely damaged and weakened. Situations can be related to injury, decay, or infection. A tooth can become fractured or damaged from injury. A dental crown could be recommended to protect the tooth from further damage. Tooth decay can usually be corrected with a dental filling. However, depending on the size, a dental crown may be needed. Infections are also likely to occur from decay. Root canal procedures are recommended to remove the infection and require a dental crown to seal the tooth correctly when finished. Patients with missing teeth can use dental crowns as part of their teeth replacement. There are different options for teeth replacement like dentures, bridges, and implants. But, it’s the latter two that require dental crowns as part of the final restorative process. Dental bridges consist of two dental crowns on each end with a pontic tooth or teeth in between. Dental implants, which are titanium artificial tooth roots, require an abutment and a dental crown to fully replace the tooth. Speak to us today regarding dental crowns in Melrose MA. Our dental office is conveniently located at 12 Porter Street Melrose, MA 02176. Contact us at (781) 665-1552 to schedule a consultation or book online here. Our team at Melrose Dental Group is eager to assist. Teeth are meant for biting, chewing, and speaking clearly. But with time, they weakened, chip, or fall off. Maintain your smile by protecting your teeth with proper care. There are a lot of online trends but we’ve decided to simplify this information. Follow these 4 tips and you’ll notice stronger teeth! There’s no other way around basic dental care. Brushing twice a day and flossing daily is a great start to maintaining stronger teeth. Brushing after each meal is best because you remove food particles and bacteria before they start to affect your teeth enamel. Much like weight loss, healthier teeth requires a diet plan. Avoid soda, sugar, and starchy foods. Unhealthy diets affect the teeth enamel and exposes the teeth to decay and total loss. Instead, replace unhealthy options with more vegetables and fruits. These options have nutrients that promote healthier teeth and overall oral health. Drinking alcohol and smoking is not good for your health, including your teeth. Alcohol dehydrates and causes a dry mouth. Without enough saliva, bacteria builds up and begins affecting the teeth. Smoking also dehydrates and affects the immune system which leaves the mouth susceptible to more bacteria. No ice, nail biting, pens, or pencils. We all have habits and some show it more often than others. Refrain from using your teeth to biting these and other hard items. You can chip, fracture, and lose teeth. Weakened teeth starts with tooth enamel loss which is irreversible. There are options to restore teeth and maintaining them. Contact our dental office to learn more. 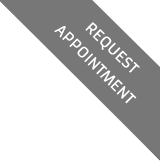 Call (781) 665-1552 or request an appointment online.